ESDS Software is one of the World’s leading provider for Cloud computing solutions and Data Center services. Founded in 2005 by first generation entrepreneur Mr. Piyush Somani, ESDS was initially conceived as a web hosting company. Since then, ESDS has moved from strength to strength, establishing a huge clientele worldwide and acquiring a number of smaller enterprises along the way. Piyush Somani, MD & CEO, ESDS Software, started Outsourced Hosting support Business by using a computer that was gifted to him by his father. Initially, he worked 18×7 as an Administrator to keep customers happy. Mr. Somani’s dream was to serve more than 1 million customers under ESDS umbrella. Today ESDS serves more than 35,000 customers hosting more than 2 million websites, but the passion to serve every small customer and see their happiness and comfort with ESDS as their business partner keeps Piyush motivated 24×7. Mr. Somani focused & invested in forming an R&D team in 2007 and under his leadership he initiated 3 technology products that complemented Data Center business. The products were named eNlight (auto-scaling Cloud Hosting platform), eMagic (Complete Data Center management and monitoring tool) and eCreo (Web Hosting Billing software). He also focused on providing technologies like SAP/ERP on Cloud, Cross platform DR Hosting, DR hosting on Cloud, Core Banking Solutions & pay per consume billing system to provide a better experience to the customers. It was Mr. Somani’s passion that kept him going to come up with regular innovations, so justifies the tag line for ESDS Software “Innovating Future Technology”. 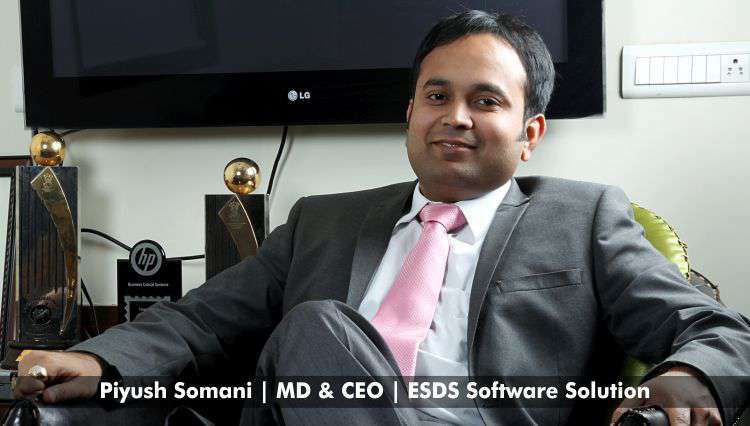 All the success that Mr. Somani achieved and the success of ESDS Software has been due to exuberant customer service backed by revolutionary products & transparency with the customers. 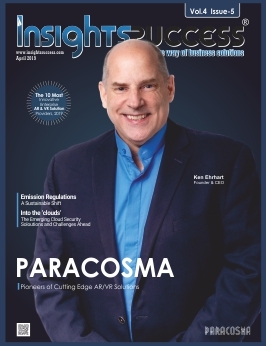 Today, ESDS Software offers innovative services like hosting on eNlight Cloud, with unique inbuilt vertical & horizontal auto-scaling feature; eMagic (Data Center Management Suite) to manage Servers/ Storage/ Network Components and Data Center assets; and MTvScan ( Malware Trojan Vulnerability scanner) to protect sites hosted under ESDS network. Last year, eNlight was awarded as “most innovative cloud platform” by “The Economic Times Group”. 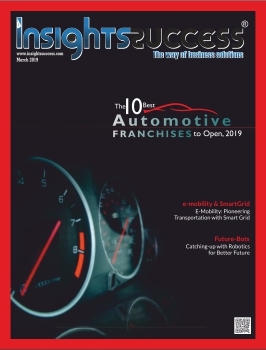 In 2005, Piyush started ESDS, and the very first two years proved very critical for him as he faced challenges, because the customer churn was quite high and in 2006 business went belly up, when there came a time, where the financial condition was not good. It was also decided by Mr. Somani to diversify ESDS into a Web hosting company from an Outsourced hosting support company, where he had a big challenge to convince the staff why ESDS needed Data center in India. Currently, ESDS owns 2 Data Centers in India, one in the city of Nashik and the other, Uptime Certified Tier 3 Data Center, in Navi Mumbai. Mr. Somani’s recent passion is all about Finance & Inorganic growth, which will drive future of ESDS & the Group companies. ESDS is planning to build data center in Banglore & UK as well. ESDS’s entire focus is on their unique service eNlight which is the most innovative cloud platform. ESDS is achieving more customers to host with them from MENA region too.